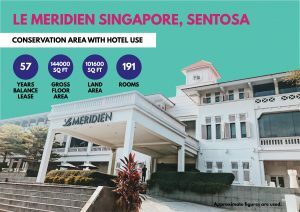 The Le Meridien Singapore, Sentosa has been put on the property market for the second time in two years. The five-star hotel, which was formerly known as the Movenpick Heritage Hotel Sentosa, was last up for sale in 2016. The hotel which sits right next to the Merlion Tower at Sentosa is presently managed by professional services firm, PwC Singapore. PwC reportedly took over the hotel about a month ago but declined to comment on why it is managing the property. 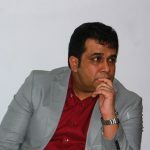 It is unclear if the property is under judicial management or if the firm is helping to wind up operations. PwC also declined to comment on how much the sellers hope to acquire from the sale of the hotel. Interested parties who are looking to bid for the hotel’s business and assets on Sentosa are invited to submit their bids by 5pm on June 4. All bids will be kept private and confidential, according to a newspaper advertisement. 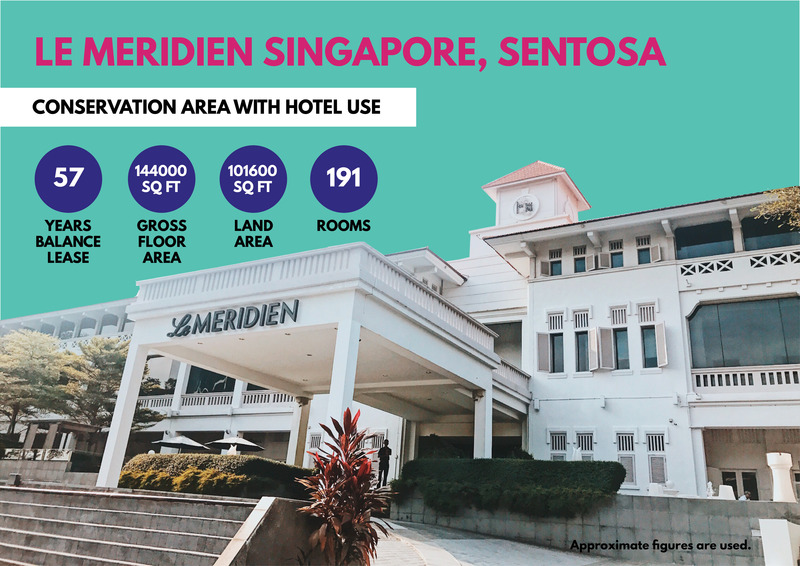 Le Meridien Singapore, Sentosa, was owned by Treasure Resort, which has been majority-owned by Mr Rodney Tan and his family since June 2007. In 2010, Mr Tan and his wife began the Movenpick Heritage Hotel Sentosa. Six years later, Starwood brand Le Meridien took over the management of the hotel in June 2016, rebranded it and subsequently put it on the market for $300 million. 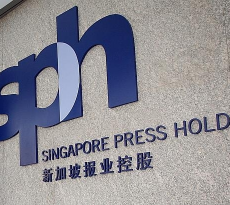 The hotel’s latest sale attempt comes as the Urban Redevelopment Authority’s (URA) flash estimates for the 1st quarter of 2018 show that the private residential property index increased 4.3 points from 138.7 points in 4th Quarter 2017 to 143.0 points in 1st Quarter 2018. This represents an increase of 3.1%, compared to the 0.8% increase in the previous quarter. Meanwhile, prices of non-landed private residential properties increased by 5.0% in Core Central Region (CCR), compared to the 1.4% increase in the previous quarter. Core Central Region comprises Postal Districts 9, 10, 11, Downtown Core Planning Area and Sentosa. 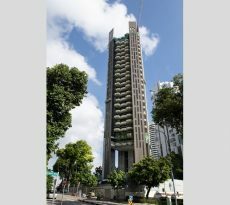 These estimates come as properties in Sentosa – which were some of the hardest hit during the property market downturn that lasted almost four years from the end of 2013 – are starting to show slow but steady signs of recovery. Properties in Singapore took a little longer than real estate in mainland Singapore to stabilise. 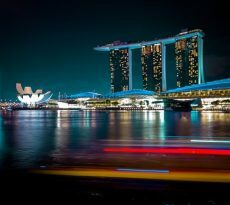 As the Singapore market recorded its first annual rise of a meagre 1.1 per cent in 2017, Sentosa’s market stopped falling and appeared to find a footing in the coming months. Foreigners may perhaps be the strongest contributors to the slow and steady recovery of the Sentosa property market. Like many luxe parts of mainland Singapore, Sentosa poses an attractive opportunity for foreigners who wish to park some of their wealth in this part of the world.